Recently, McDonald’s announced it is switching to fresh beef after nearly 40 years of using frozen meat for their hamburgers. 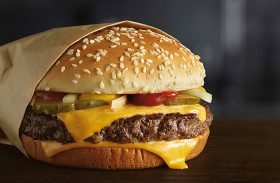 (Source: New York Times) The company will start with the quarter pounder, then gradually shift the entire burger menu to fresh, never-frozen beef, as they refocus on “returning to their roots” as a burger joint. Several failed attempts to introduce healthier items like smoothies, salads and wraps only added frustration to the franchise owners who were tasked with making more menu items that slowed down the drive-through lanes and to the customers who don’t visit McDonald’s for healthy or gourmet foods. They want a good, fresh burger, fries and a Coca-Cola and they want it fast. Only time will tell i f this new move introduces some positive change back into a company who’s stock performance has been anything but stellar over the last few years. There is a marketing point here for all small business owners: don’t forget your roots. Or, as we said growing up in southern Ohio, “Dance with the one who brought you.” If weekend hours and “crawl through broken glass for the customer” mindset and service were the things that grew your practice years ago, don’t forget your roots. If greeting patient by name and hosting patient appreciation parties helped your practice grow years ago, don’t forget your roots. If taking the time to build relationships with general dentists was important to your growth in the past, don’t forget your roots. If you’re trying to run a burger chain, stop trying to sell salads and wraps. Break out the french fries and make it a double cheeseburger while you’re at it. How To Configure Access Control On TP-Link Wireless N Router?